On a Thursday evening, APW Bangsar was packed with whisky aficionados, gathered with anticipation for the relaunch of Port Charlotte’s heavily-peated single malt Scotch whiskies. Alongside the star of the night, the 10-year-old, were the MRC:01, MC:01 Bruichladdich Classic Laddie, Bruichladdich Islay Barley and The Botanist Gin. Previously available only in limited quantity, the 10-year-old will now be a permanent release. The MRC:01, peated to a heavy 40ppm, remains a limited release, and is the replacement for the Port Charlotte 2007 CC:01. The Islay whiskies are bottled at 50% ABV in 700ml format and are now available in the Malaysian market. Despite its high PPM, the smoke on the nose and palate for the 10-year-old is subtle with a slight ocean mist aroma, sweet honey finish and a soft texture. Even at cask strength, the spirit is surprisingly mellow with light citrus and combination of coconut and vanilla after taste ending with a slight saltiness. It’s complicated but this would be put into perspective through the pairings set up at the event. The MC:01 is a different monster that remains a limited release. It is a combination of whisky aged in French oak (6 years), American oak (6 years) then vatted and aged in Marsala casks for 2 years. Compared to the 10-year-old, the MRC:01 is spicier with orange peels and cloves, and a heavier bite on the peat. The cask strength character is also more pronounced in this expression with a heavier vanilla note, toasted oak and warm nutty finish. This wine cask finish expression is a blend of 75% first fill American whiskey cask and 25% second fill syrah and merlot wine casks, giving it rich plum and cherry on top of the tasting profile in Port Charlotte 10, but 10 times more intense. This was a unique chocolate as it contained three different courses within a bar. 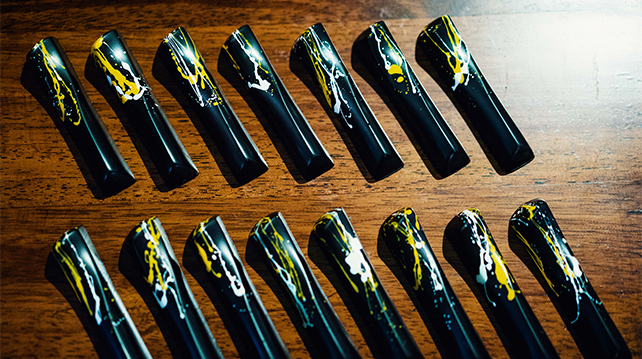 Chocolatier Ning Geng of Chocolate Concierge crafted the bar with 3 layers, each representing a different course where, as you gradually munch your way down, different flavours prevail. The first course was created with a combo of strong notes from local herbs such as lemongrass, ginger torch, lime, pineapple and galangal. It also contained chili that gave a bite to the flavour. The first drink for this course would be the Bruichladdich Classic Laddie. The second course (bite) followed with a crunchy and smokey texture. This was where the Port Charlotte 10 enhanced the sweetness and smokiness, while the red miso prolonged the savouriness of the whisky, ending with a round nuttiness from the almond. The third and final course was sweet and slightly tart from the raspberry with a hint of vanilla. This went with the MRC:01 which highlighted the berry characters of the malt. This was the only pairing that let you journey through all the flavours unique to the Port Charlotte with a combination of different textures. 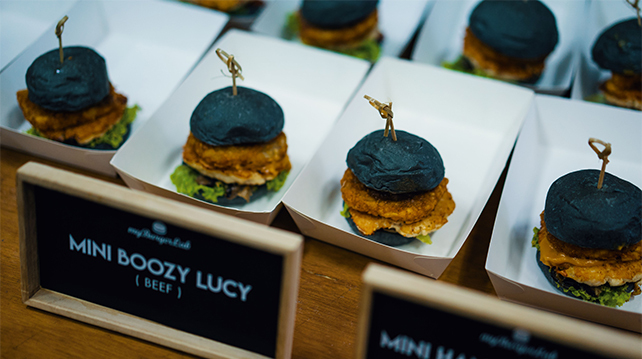 Prepared by MyBurgerLab, the two burgers, Mini Hangover Cure (chicken) and Mini Boozy Lucy (beef) contained onion jam infused with Port Charlotte. The winning part is how easily the Port Charlotte 10 washed down the juicy patties with their individual sauces, giving each bite that unique BBQ smokiness combined with the boozy 50% ABV heat from the Scotch, making the whole experience even more memorable (especially when you’re hungry!). 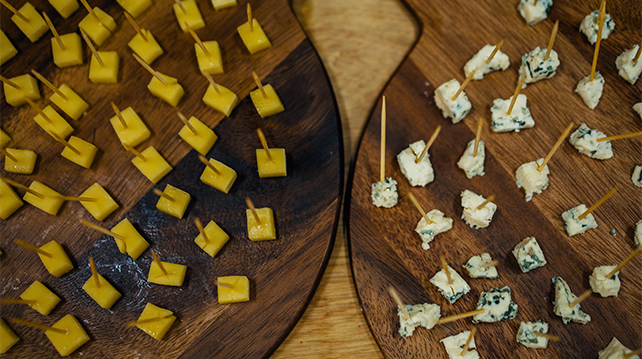 If you think cheeses only go with wine then you might want to think again. There were the gruyere and blue cheese and we know which the winner was. The nuttiness of the firm cheese is the exact reflection of the tasting note for MC:01. The cheese gets sweeter the longer you chew it and melts when it comes in contact with the malt. Think whisky cheese fondue. This highly boozy cocktail mimics its colour from the Port Charlotte packaging. It’s smokey, savoury with a kick. “This cocktail is not for everyone. 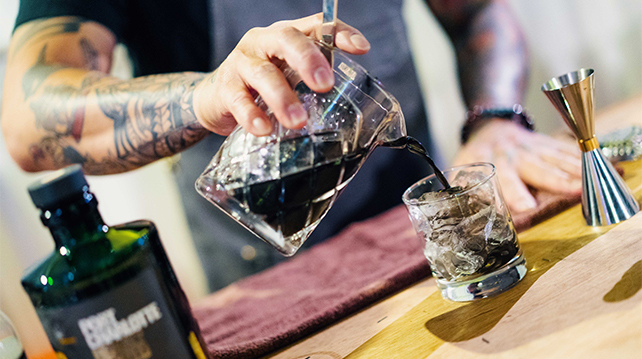 Those who like a spirit-forward cocktail and prefer something heavy on the palate, dark and smokey, will love this,” said the creator Jason Julian, who runs Soma Cocktail Bar in TTDI. It has an acquired taste but you can’t hate it, there is not a drop of non-alcoholic liquid in this glass, except the ice of course. 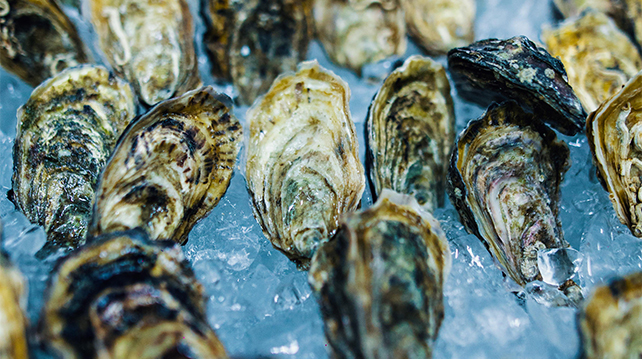 We thought the Tragheanna Bay Irish Oysters from Southern Rock Seafood went with the Gin & Tonic using The Botanist, and not so much with the whiskies. The sweetness of the delicacy is overpowered by the cask strength whiskies, they’re better off with the equally delicate gin that is clean tasting.